Chen, Gang, 2007: Mechanisms that control the latitude of jet streams and surface westerlies, Ph.D. thesis, Princeton University, 153 pp. Chen, Gang, Isaac M. Held and Walter A. Robinson, 2007: Sensitivity of the Latitude of the Surface Westerlies to Surface Friction, Journal of the Atmospheric Sciences, 64, 2899--2915, doi:10.1175/JAS3995.1. Frierson, Dargan M. W., Jian Lu and Gang Chen, 2007: Width of the Hadley cell in simple and comprehensive general circulation models, Geophysical Research Letters, 34, L18804, doi:10.1029/2007GL031115. Chen, Gang and Isaac M. Held, 2007: Phase speed spectra and the recent poleward shift of Southern Hemisphere surface westerlies, Geophysical Research Letters, 34, L21805, doi:10.1029/2007GL031200. Chen, Gang and Pablo Zurita-Gotor, 2008: The Tropospheric Jet Response to Prescribed Zonal Forcing in an Idealized Atmospheric Model, Journal of the Atmospheric Sciences, 65, 2254--2271, doi:10.1175/2007JAS2589.1. Chen, Gang, Jian Lu and Dargan M. W. Frierson, 2008: Phase Speed Spectra and the Latitude of Surface Westerlies: Interannual Variability and Global Warming Trend, Journal of Climate, 21, 5942--5959, doi:10.1175/2008JCLI2306.1. Lu, Jian, Gang Chen and Dargan M. W. Frierson, 2008: Response of the Zonal Mean Atmospheric Circulation to El Nino versus Global Warming, Journal of Climate, 21, 5835--5851, doi:10.1175/2008JCLI2200.1. Chen, Gang and R. Alan Plumb, 2009: Quantifying the Eddy Feedback and the Persistence of the Zonal Index in an Idealized Atmospheric Model, Journal of the Atmospheric Sciences, 66, 3707--3720, doi:10.1175/2009JAS3165.1. Chen, Gang, R. Alan Plumb and Jian Lu, 2010: Sensitivities of zonal mean atmospheric circulation to SST warming in an aqua-planet model, Geophysical Research Letters, 37, L12701, doi:10.1029/2010GL043473. Lu, Jian, Gang Chen and Dargan M. W. Frierson, 2010: The Position of the Midlatitude Storm Track and Eddy-Driven Westerlies in Aquaplanet AGCMs, Journal of the Atmospheric Sciences, 67, 3984--4000, doi:10.1175/2010JAS3477.1. Chen, Gang, Yi Ming, Noah D. Singer and Jian Lu, 2011: Testing the Clausius--Clapeyron constraint on the aerosol-induced changes in mean and extreme precipitation, Geophysical Research Letters, 38, L04807, doi:10.1029/2010GL046435. Fang, Yuanyuan, Arlene M. Fiore, Larry W. Horowitz, Anand Gnanadesikan, Isaac M. Held, Gang Chen, Gabriel Vecchi and Hiram Levy, 2011: The impacts of changing transport and precipitation on pollutant distributions in a future climate, Journal of Geophysical Research, 116, D18303, doi:10.1029/2011JD015642. Chen, Gang and Lantao Sun, 2011: Mechanisms of the Tropical Upwelling Branch of the Brewer–Dobson Circulation: The Role of Extratropical Waves, Journal of the Atmospheric Sciences, 68, 2878--2892, doi:10.1175/JAS-D-11-044.1. Ming, Yi, V. Ramaswamy and Gang Chen, 2011: A Model Investigation of Aerosol-Induced Changes in Boreal Winter Extratropical Circulation, Journal of Climate, 24, 6077--6091, doi:10.1175/2011JCLI4111.1. Sun, Lantao, Walter A. Robinson and Gang Chen, 2011: The Role of Planetary Waves in the Downward Influence of Stratospheric Final Warming Events, Journal of the Atmospheric Sciences, 68, 2826--2843, doi:10.1175/JAS-D-11-014.1. The Predictability of Stratospheric Warming Events: More from the Troposphere or the Stratosphere? Sun, Lantao, Walter A. Robinson and Gang Chen, 2012: The Predictability of Stratospheric Warming Events: More from the Troposphere or the Stratosphere?, Journal of the Atmospheric Sciences, 69, 768--783, doi:10.1175/JAS-D-11-0144.1. Solomon, Abraham, Gang Chen and Jian Lu, 2012: Finite-amplitude Lagrangian-mean wave activity applied to the baroclinic eddy life-cycle, J. Atmos. Sci., 69, 3013--3027, doi:10.1175/JAS-D-11-0294.1. Zhang, Yang, Xiu-Qun Yang, Yu Nie and Gang Chen, 2012: Annular Mode-Like Variation in a Multilayer Quasigeostrophic Model, Journal of the Atmospheric Sciences, 69, 2940--2958, doi:10.1175/JAS-D-11-0214.1. Nie, Yu, Yang Zhang, Xiu-Qun Yang and Gang Chen, 2013: Baroclinic anomalies associated with the Southern Hemisphere Annular Mode: Roles of synoptic and low-frequency eddies, Geophysical Research Letters, 40, 2361--2366, doi:10.1002/grl.50396. 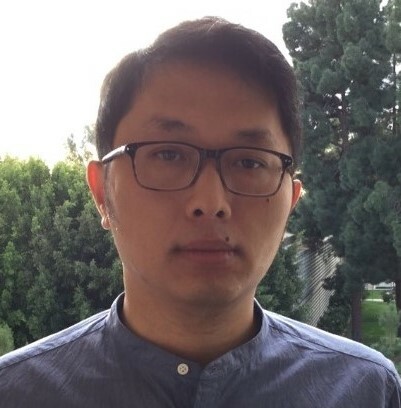 Chen, Gang, Jian Lu and Lantao Sun, 2013: Delineating the Eddy--Zonal Flow Interaction in the Atmospheric Circulation Response to Climate Forcing: Uniform SST Warming in an Idealized Aquaplanet Model, Journal of the Atmospheric Sciences, 70, 2214--2233, doi:10.1175/JAS-D-12-0248.1. Chen, Gang, 2013: The Mean Meridional Circulation of the Atmosphere Using the Mass above Isentropes as the Vertical Coordinate, Journal of the Atmospheric Sciences, 70, 2197--2213, doi:10.1175/JAS-D-12-0239.1. Sun, Lantao, Gang Chen and Jian Lu, 2013: Sensitivities and Mechanisms of the Zonal Mean Atmospheric Circulation Response to Tropical Warming, Journal of the Atmospheric Sciences, 70, 2487--2504, doi:10.1175/JAS-D-12-0298.1. Domeisen, Daniela I. V., Lantao Sun and Gang Chen, 2013: The role of synoptic eddies in the tropospheric response to stratospheric variability, Geophysical Research Letters, 40, 4933--4937, doi:10.1002/grl.50943. Palipane, Erool, Jian Lu, Gang Chen and James L. Kinter, 2013: Improved annular mode variability in a global atmospheric general circulation model with 16 km horizontal resolution, Geophysical Research Letters, 40, 4893--4899, doi:10.1002/grl.50649. Lu, Jian, Lantao Sun, Yutian Wu and Gang Chen, 2013: The role of subtropical irreversible PV mixing in the zonal mean circulation response to global warming-like thermal forcing, Journal of Climate, 27, 2297--2316, doi:10.1175/JCLI-D-13-00372.1. Lu, Jian, L. Ruby Leung, Qing Yang, Gang Chen, William D. Collins, Fuyu Li, Z. Jason Hou and Xuelei Feng, 2014: The robust dynamical contribution to precipitation extremes in idealized warming simulations across model resolutions, Geophysical Research Letters, 41, 2971--2978, doi:10.1002/2014GL059532. Sun, Lantao, Gang Chen and Walter A. Robinson, 2014: The Role of Stratospheric Polar Vortex Breakdown in Southern Hemisphere Climate Trends, Journal of the Atmospheric Sciences, 71, 2335--2353, doi:10.1175/JAS-D-13-0290.1. Yang, Huang, Gang Chen and Daniela I.V. V. Domeisen, 2014: Sensitivities of the Lower-Stratospheric Transport and Mixing to Tropical SST Heating, Journal of the Atmospheric Sciences, 71, 2674--2694, doi:10.1175/JAS-D-13-0276.1. Chen, Gang and R. Alan Plumb, 2014: Effective Isentropic Diffusivity of Tropospheric Transport, Journal of the Atmospheric Sciences, 71, 3499--3520, doi:10.1175/JAS-D-13-0333.1. Nie, Yu, Yang Zhang, Gang Chen, Xiu-qun Yang and D Alex Burrows, 2014: Quantifying barotropic and baroclinic eddy feedbacks in the persistence of the Southern Annular Mode, Geophysical Research Letters, 41, 8636--8644, doi:10.1002/2014GL062210. Yang, Huang, Lantao Sun and Gang Chen, 2015: Separating the Mechanisms of Transient Responses to Stratospheric Ozone Depletion–Like Cooling in an Idealized Atmospheric Model, Journal of the Atmospheric Sciences, 72, 763--773, doi:10.1175/JAS-D-13-0353.1. Lu, Jian, Gang Chen, L. Ruby Leung, D. Alex Burrows, Qing Yang, Koichi Sakaguchi and Samson Hagos, 2015: Toward the Dynamical Convergence on the Jet Stream in Aquaplanet AGCMs, Journal of Climate, 28, 6763--6782, doi:10.1175/JCLI-D-14-00761.1. Chen, Gang, Jian Lu, D. Alex Burrows and L. Ruby Leung, 2015: Local finite-amplitude wave activity as an objective diagnostic of midlatitude extreme weather, Geophysical Research Letters, 42, 10,952--10,960, doi:10.1002/2015GL066959. Wind-blown dunes are a record of the climatic history in Titan's equatorial region. Through modeling of the climatic conditions associated with Titan's historical orbital configurations (arising from apsidal precessions of Saturn's orbit), we present evidence that the orientations of the dunes are influenced by orbital forcing. Analysis of 3 Titan general circulation models (GCMs) in conjunction with a sediment transport model provides the first direct intercomparison of results from different Titan GCMs. We report variability in the dune orientations predicted for different orbital epochs of up to 70°. Although the response of the GCMs to orbital forcing varies, the orbital influence on the dune orientations is found to be significant across all models. Furthermore, there is near agreement among the two models run with surface topography, with 3 out of the 5 dune fields matching observation for the most recent orbital cycle. Through comparison with observations by Cassini, we find situations in which the observed dune orientations are in best agreement with those modeled for previous orbital configurations or combinations thereof, representing a larger portion of the cycle. We conclude that orbital forcing could be an important factor in governing the present-day dune orientations observed on Titan and should be considered when modeling dune evolution. McDonald, George D., Alexander G. Hayes, Ryan C. Ewing, Juan M. Lora, Claire E. Newman, Tetsuya Tokano, Antoine Lucas, Alejandro Soto and Gang Chen, 2016: Variations in Titan&apos;s dune orientations as a result of orbital forcing, Icarus, 270, 197--210, doi:10.1016/j.icarus.2015.11.036. Nie, Yu, Yang Zhang, Gang Chen and Xiu-Qun Yang, 2016: Delineating the Barotropic and Baroclinic Mechanisms in the Midlatitude Eddy-Driven Jet Response to Lower-Tropospheric Thermal Forcing, Journal of the Atmospheric Sciences, 73, 429--448, doi:10.1175/JAS-D-15-0090.1. Yang, Huang, Gang Chen, Qi Tang and Peter G. Hess, 2016: Quantifying isentropic stratosphere-troposphere exchange of ozone, Journal of Geophysical Research: Atmospheres, 121, 3372--3387, doi:10.1002/2015JD024180. Burrows, D Alex, Gang Chen and Lantao Sun, 2017: Barotropic and Baroclinic Eddy Feedbacks in the Midlatitude Jet Variability and Responses to Climate Change–Like Thermal Forcings, Journal of the Atmospheric Sciences, 74, 111--132, doi:10.1175/JAS-D-16-0047.1. Palipane, Erool, Jian Lu, Paul Staten, Gang Chen and Edwin K. Schneider, 2017: Investigating the zonal wind response to SST warming using transient ensemble AGCM experiments, Climate Dynamics, 48, 523--540, doi:10.1007/s00382-016-3092-9. Chen, Gang, Clara Orbe and Darryn Waugh, 2017: The role of monsoon-like zonally asymmetric heating in interhemispheric transport, Journal of Geophysical Research: Atmospheres, 122, 3282--3298, doi:10.1002/2016JD026427. Lu, Jian, Koichi Sakaguchi, Qing Yang, L. Ruby Leung, Gang Chen, Chun Zhao, Erik Swenson and Zhangshuan J. Hou, 2017: Examining the Hydrological Variations in an Aquaplanet World Using Wave Activity Transformation, Journal of Climate, 30, 2559--2576, doi:10.1175/JCLI-D-16-0561.1. Xue, Daokai, Jian Lu, Lantao Sun, Gang Chen and Yaocun Zhang, 2017: Local increase of anticyclonic wave activity over northern Eurasia under amplified Arctic warming, Geophysical Research Letters, 44, 3299--3308, doi:10.1002/2017GL072649. Wu, Yutian, Gang Chen, Lindsey Taylor and Pengfei Zhang, 2018: On the Linkage Between the Asian Summer Monsoon and Tropopause Folds, Journal of Geophysical Research: Atmospheres, 123, 2037--2049, doi:10.1002/2017JD027870. Martineau, Patrick, Gang Chen, Seok-Woo Son and Joowan Kim, 2018: Lower-Stratospheric Control of the Frequency of Sudden Stratospheric Warming Events, Journal of Geophysical Research: Atmospheres, 123, 3051--3070, doi:10.1002/2017JD027648. Lu, Jian, Daokai Xue, Yang Gao, Gang Chen, L. Ruby Leung and Paul Staten, 2018: Enhanced hydrological extremes in the western United States under global warming through the lens of water vapor wave activity, npj Climate and Atmospheric Science, 1, 7, doi:10.1038/s41612-018-0017-9. Linz, Marianna, Gang Chen and Zeyuan Hu, 2018: Large-scale Atmospheric Control on Non-Gaussian Tails of Midlatitude Temperature Distributions, Geophysical Research Letters, 1--9, doi:10.1029/2018GL079324. Chen, Gang, Jesse Norris, J. David Neelin, Jian Lu, L. Ruby Leung and Koichi Sakaguchi, 2018: Thermodynamic and Dynamic Mechanisms for Hydrological Cycle Intensification over the Full Probability Distribution of Precipitation Events, Journal of the Atmospheric Sciences, JAS--D--18--0067.1, doi:10.1175/JAS-D-18-0067.1. Norris, Jesse, Gang Chen and J. David Neelin, 2018: Thermodynamic versus dynamic controls on extreme precipitation in a warming climate from the Community Earth System Model Large Ensemble, Journal of Climate, JCLI--D--18--0302.1, doi:10.1175/JCLI-D-18-0302.1.